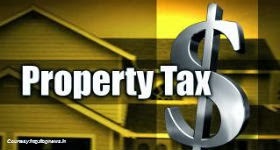 While the registration of property transaction at the regional sub registrar's office, in case of sale/purchase, is the most important part of the transaction, it is not yet complete until the property is mutated in the buyers name so that the proper tax collection can be done from the right owner. Also the mutation is equally important if the property is inherited or bought through Power of Attorney. Mortgage lingo might appear complex and confusing but the definitions aren't all that difficult to understand. Following are the most common terms you encounter while shopping for a mortgage in North America. A good faith estimate, or GFE, is a document that lenders are required to provide prospective borrowers detailing the estimated costs of the mortgage loan. The costs listed on the GFE typically include the lender's origination fee, points (if any), escrow or attorney's closing fees, title insurance, appraisal fee, and various other taxes and expenses. 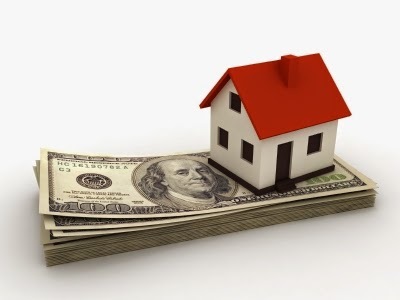 However, the exact list will vary by state, and borrowers should remember that the actual cost of the loan can change. When the mortgage officially closes, lenders are required to state the actual costs of the loan on a HUD-1 form. (HUD is an acronym for the Department of Housing and Urban Development.) The HUD-1 should track with the GFE, but it can also include other costs, such as a broker's commission, which might not have been included in the original estimate. Inspirational and wise quotes by some of the world's biggest real estate tycoons, entrepreneurs and Investors. Property boom in India has led to the rise of hundreds of real estate companies, both at local and national level. Beside being the sector highly fragmented, there are handful of players with national presence or at least presence in more than one city. Once the darling of dalal street, real estate stocks these days attract relatively very few investors as most of the investors have burnt their fingers by investing in such stocks during boom at very high valuations. A Real Estate regulator, bank defaults due to non payment of loans, slower execution and unethical transactions have caused major dent in the investor's sentiment towards the sector. However with most of the bad news discounted the sector might provide some good investment opportunities from medium to long term perspective. Here is the list of top 10 real estate companies in India listed in Indian Stock Markets. DLF by far is the largest property developer in India while Sobha Developers, though a relatively small developer, is known for the best corporate governance among listed real estate companies in India.